General Pump has been the world leader in pressure washer triplex plunger pump development since 1982. While known as the leader in triplex plunger pumps for the pressure cleaning industry, now they have expanded into Industrial pumps rated up to 112 gallons per minute or pressures up to 21,750 PSI to serve Vehicle Wash as well as many Industrial Applications including Sewer Jetting, Oil and Gas Industries, Mining Industries, Mobile Pressure Wash, Food Industries and Exterior Building Maintenance. Always striving to serve our customers better Water Cannon now offers the complete line of General Pumps and Industrial General Pumps at discounted prices. Water Cannon offers online discounts for volume and you can save up to 20% additional with an added bonus of free freight. General Pump’s motto; "We Will Find A Way”, now with Water Cannon’s help at discounted prices. This version of the T series 47 triplex plunger pump sports a solid shaft with a forged brass manifold that has an exclusive lifetime warranty. 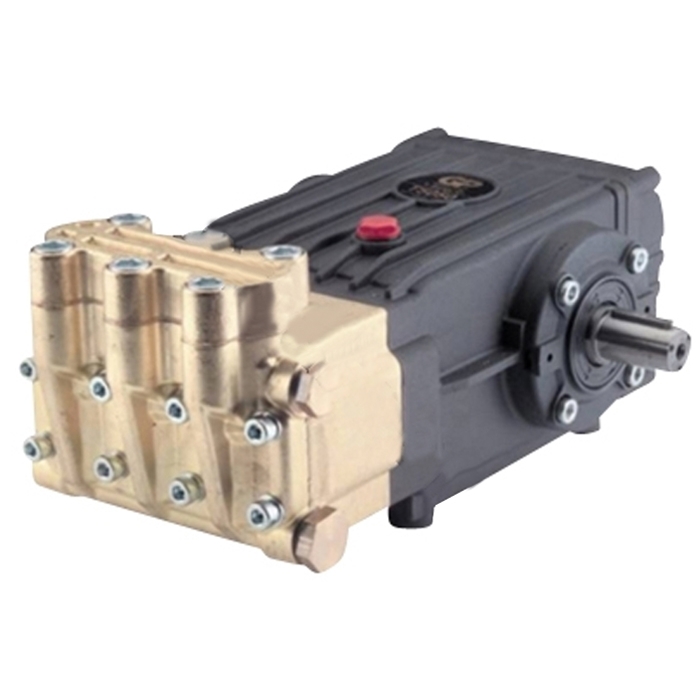 This pump also has a unique in-line valve system for easy access and durability and a proven crankcase and bearing design. • Pump dimensions: 12.6" x 9.2" x 6.9"
• Crankcase oil capacity: 40.6 oz.